The fatal shooting of teenager Michael Brown by a police officer in Ferguson, Mo., in August 2014, and the subsequent protests and police actions, has prompted an outpouring of analysis and opinion about the issue of race in America, as well as law enforcement behavior. Many commentators have speculated about patterns of racism and racist views in American society. There are a wide range of sources for data that can inform coverage and deepen discussion. For example, in 2013 the Pew Research Center took stock of American racial attitudes on the 50th anniversary of the March on Washington. 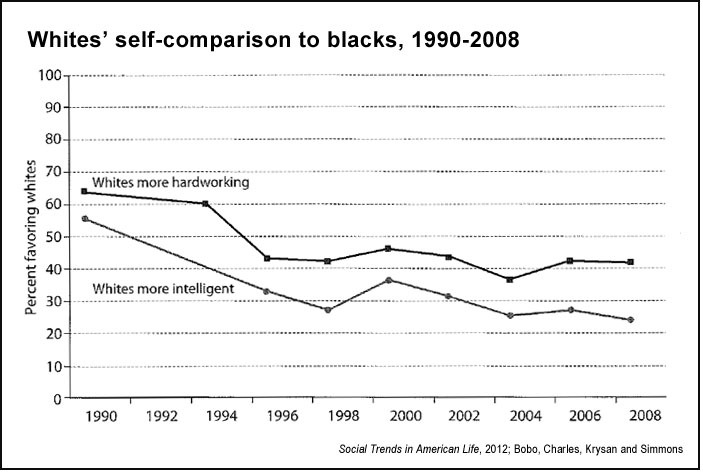 Pew found large gaps still between blacks and whites on how they see racial progress in America. From the criminal justice system to the workplace and schools, African-Americans were much more likely to say they are treated unfairly. 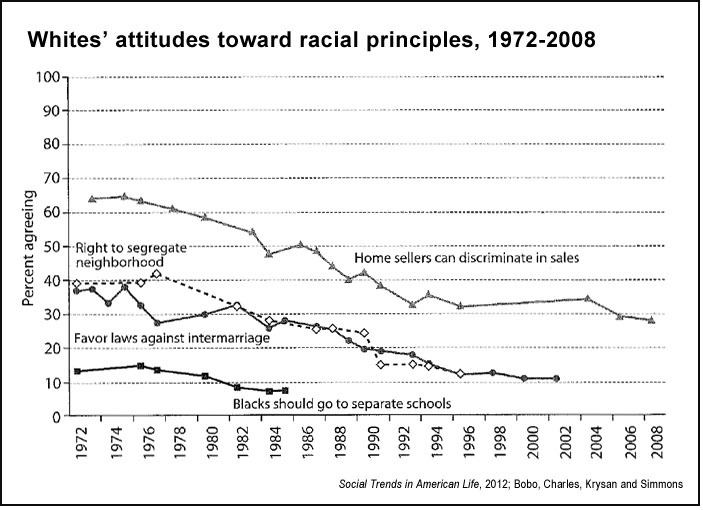 Gallup also has a special section that spotlights historical trends in race relations since 2001. The General Social Survey (GSS), run by the National Opinion Research Center at the University of Chicago, contains vital knowledge about attitudes in American society and can be usefully tapped by media to an even greater extent than it already is. The GSS has been conducted for more than four decades — since 1972 — and scholars carefully craft questions and measures that allow it to reveal deep insights into long-term shifts in Americans’ attitudes, unlike snapshot polls. On matters such as race relations, it is considered a gold standard and furnishes perhaps the most precise record available. In 1990 white respondents were asked if they were willing to live in a neighborhood where “half of your neighbors were blacks” and only 10% said they would. That figure rose to 25% in 2008. Related: Also see the New York Times’ “Upshot” blog for a visualization of some trends relating to racial attitudes extracted from the GSS.